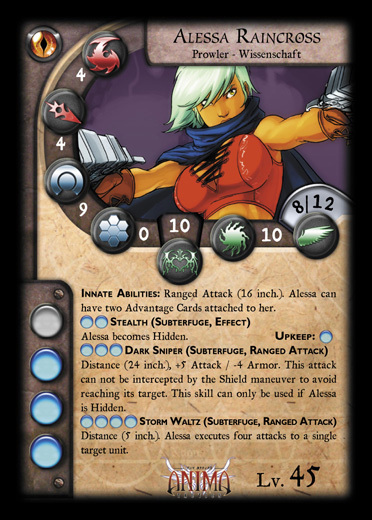 Innate Abilities: Ranged Attack (16 inch), Alessa can have two advantage cards attached to her. 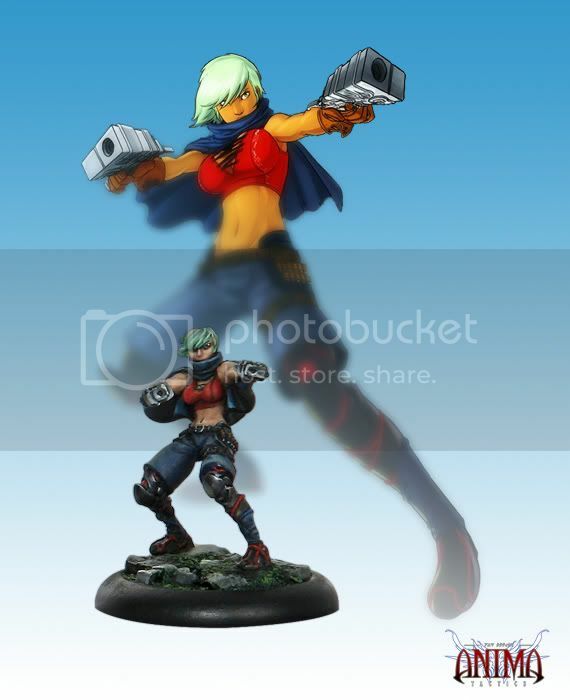 Distance (24 inch), +5 Attack, -4 Armor. This attack can not be intercepted by the shield maneuver to avoid reaching its target. This skill can only be used if Alessa is Hidden. Distance (5 inch). Alessa executes four attacks to a single target unit. implants, her aim and physical aptitudes have become truly inhuman.